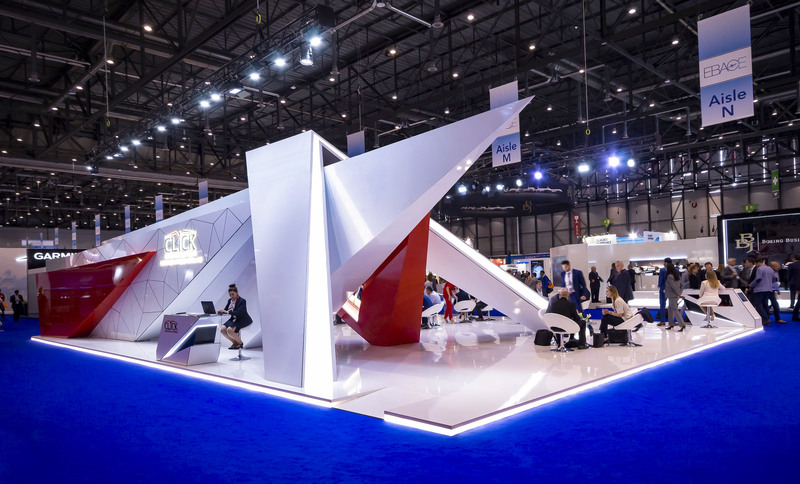 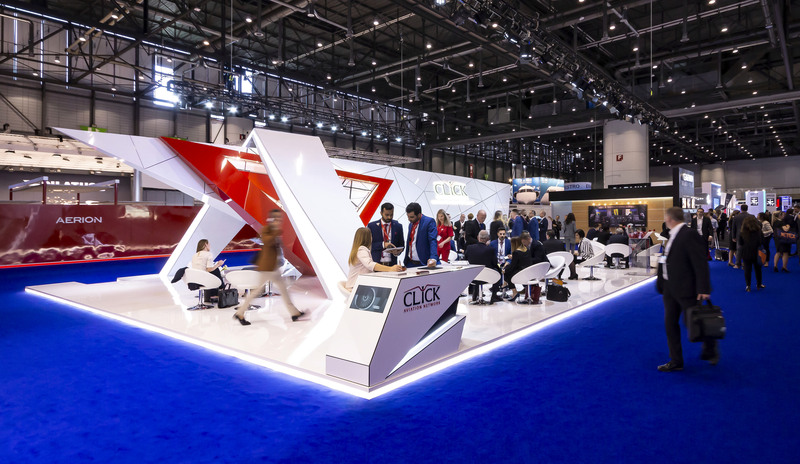 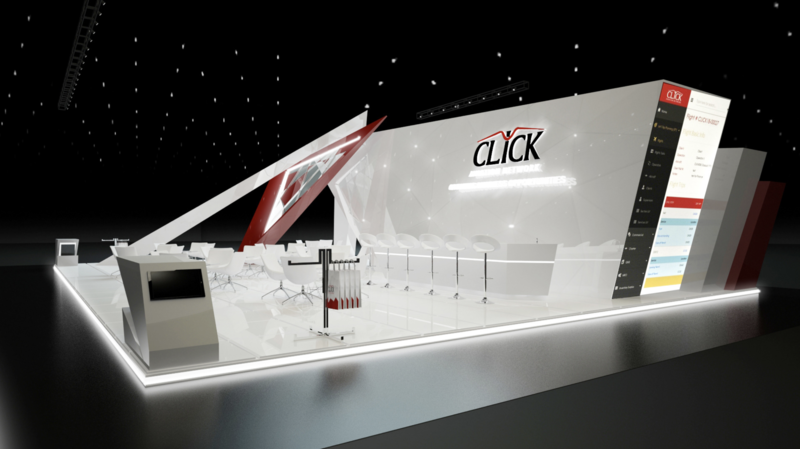 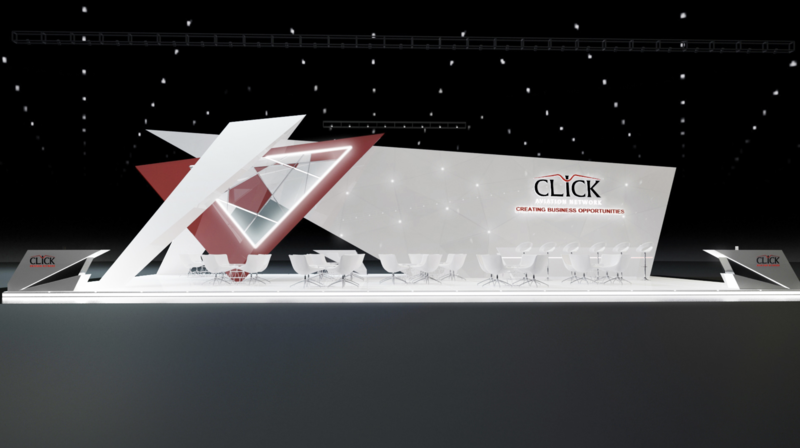 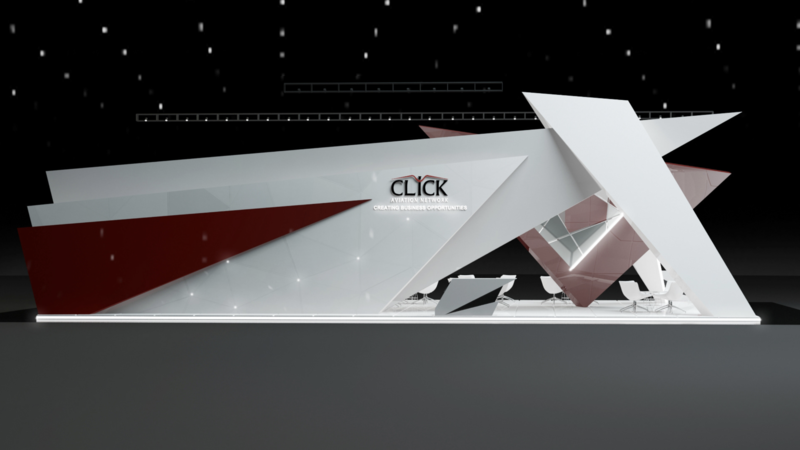 For the second year in a row, the Dubai-based company Click Aviation Network commissioned Indissoluble the construction of its booth for the EBACE fair, held in Geneva, Switzerland. 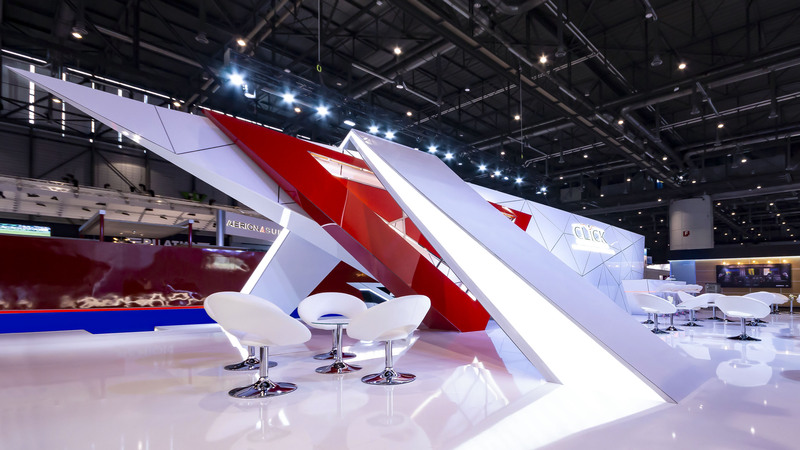 Coated in glossy white and red dibond, representing the colors of the company, the whole stand offers a great feeling of dynamism, thanks to the angular and pointed shapes of the structure. 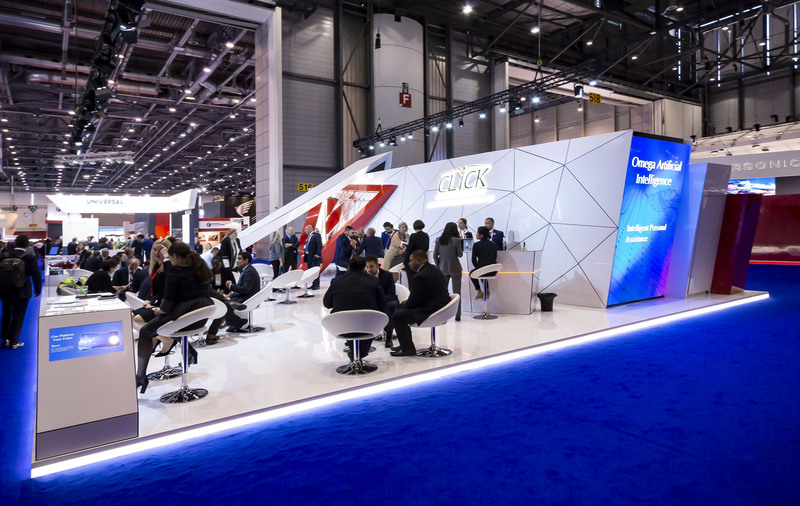 A large led screen on the side of the stand offers visitor more info about the company.